Thinkwell Math is a secular curriculum designed for 6th grade through high school. It features video instruction with grading done for the parent. Read more about and see a demo at Thinkwell.com. Did it work for your child? Your e-mail will not be published. Some of the links leaving our site are affiliate links. If you click on a link and make a purchase, we receive a small amount that helps our family be able to homeschool. Thank you for your support! How long have you been homeschooling? What style of homeschooling do you prefer? 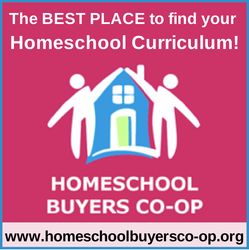 © 2019 Homeschool Curriculum Reviews. All rights reserved.